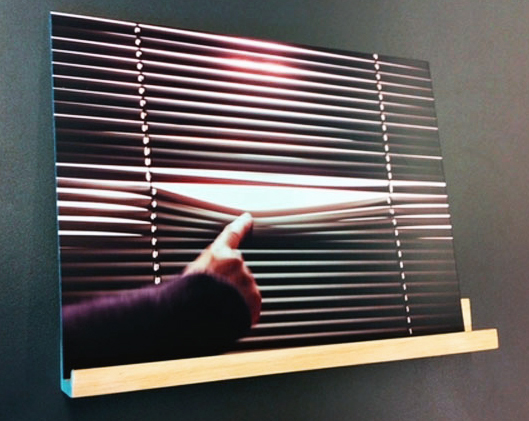 In this double sided film still Marijke van Warmerdam’s hands are shown sliding across the slats of Venetian blinds. At the other side of the photo another moment is depicted taken from her film ‘Light’ from 2010. Here two moments in one are literally put on display, but cannot be seen simultaneously. The latter being both a strategy of fetching reality and a trademark of the artist.